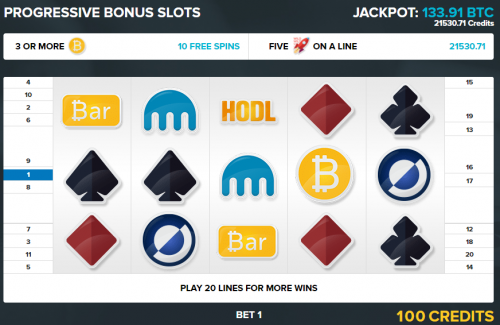 During the last couple of years, the bitcoin casino market has evolved considerably, with hundreds of new games appearing on the market, and tons of casinos giving out millions of dollars-worth of digital currency to their winners. 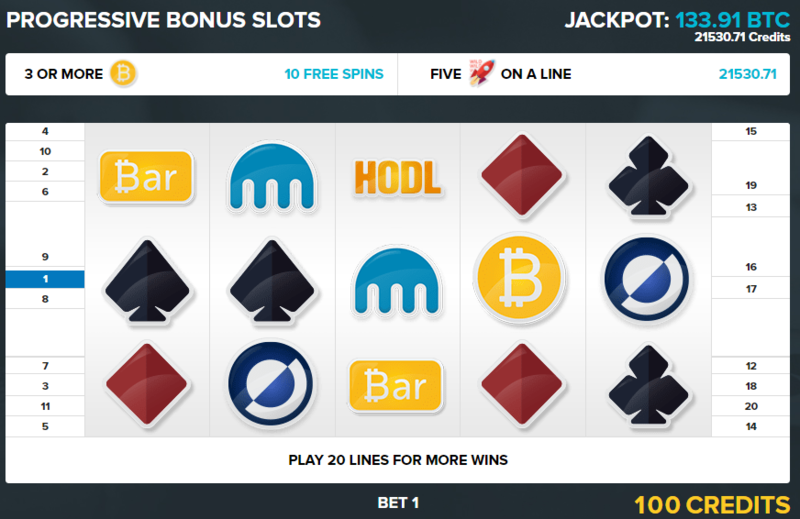 Games.Bitcoin.com has rapidly been gaining more popularity, so this review will cover everything there is to know about the casino, the types of games that it has, withdrawals and deposits, accounts, referral programs, security, and customer support. 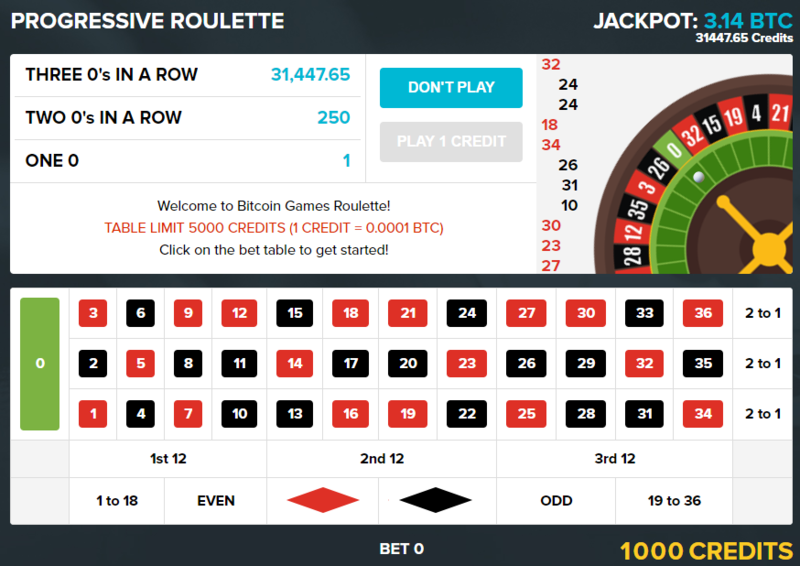 To kick things off, Bitcoin Games is an online bitcoin casino that is provably fair, offers instant anonymous registration, and offers a couple of great games that are bound to be entertaining to all users. The style that it offers differs a bit from other casinos, since it is based off the old-school video poker machines present throughout Las Vegas, the city of gambling. Currently, some of the main benefits associated with Bitcoin Games, include, but are not limited to: being able to play with test credits, and without having to register, an expected return of at least 99% on all games being offered, instant pay-outs, games that are provably fair, and the ability to play its games from any platform, as long as users have an active internet connection. In terms of the games being offered, players can choose from Video Poker, Blackjack, Roulette, Craps, Keno, Slots and Dice. While the overall design of the games isn’t what we’d expect, it is important to point out the fact that the casino aims for an old-school look, similar to that achieved by actual casino machines throughout real-life casinos. 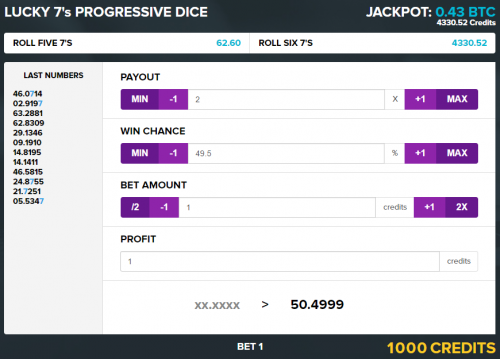 Therefore, the interface is built in such a way to seem less design-friendly to the current times, and is meant to bring back memories through a slightly different gambling experience. Fortunately, they manage to achieve just this, while not sacrificing ease of use, user-friendliness and the quality of the experience while playing on Bitcoin Games. In terms of the financial aspects worth taking into consideration, the current house edge for the games being offered is of 0.25% for Video Poker, 0.4% for Blackjack, 1% for Roulette, 0.2% for Craps, 1% for Keno, 1% for Slots and 0.75% for Dice. There is also a multitude of bonuses available across the games being offered, which are offered based on your luck, the amount that you wager, and the outcome of users’ bets. Just like many other casinos on the market, Bitcoin Games is also provably fair, which means that players can play with confidence, since every came is completely fair, with no third-party, or server-side interference in the outcome of the bets. With this in mind, players will be issued random cards all the time, and Bitcoin Games can mathematically demonstrate that they haven’t manipulated the outcome of a bet. This is done by putting together the client-side, and the server-side seeds, alongside with the randomly generated numbers used to cut the deck. For those who are interested in getting their friends to join the casino as well, there is a rewarding referral program that can be taken advantage of. 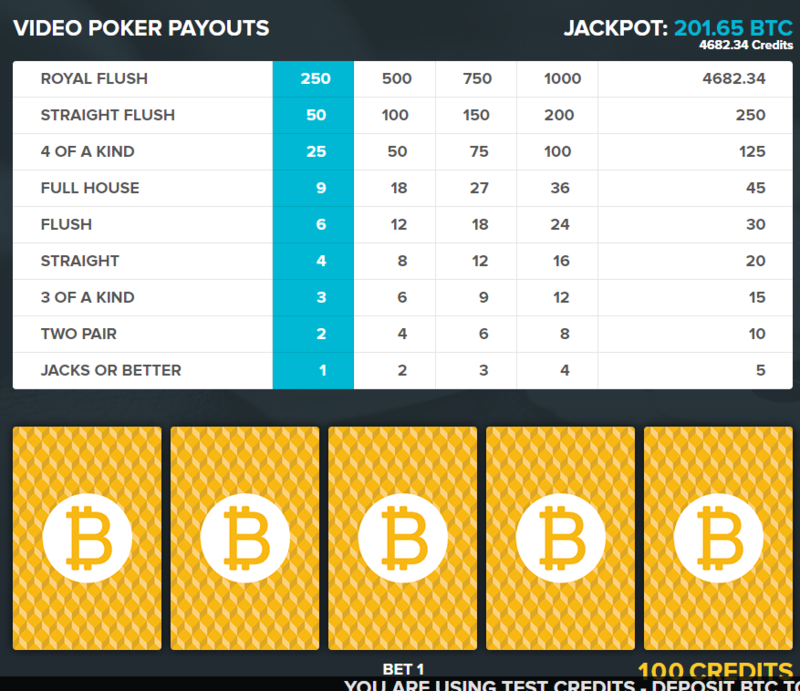 Upon referring a player, a user can earn up to 25% of the house edge being earned by the player in question, on all future games, which in the long run, can become quite profitable. In terms of security, Bitcoin Games has implemented a few protocols meant to keep your coins safe at all times. However, it is also important for users to set account passwords, and two-factor authentication to further increase the security of their accounts. An email-based customer support team is also available. In case you happen to encounter any form of issue while playing on the games offered by the Bitcoin Games casino, you can contact the customer support team at games@bitcoin.com. Unfortunately, replies will not be sent instantly, but rather in a couple of hours. 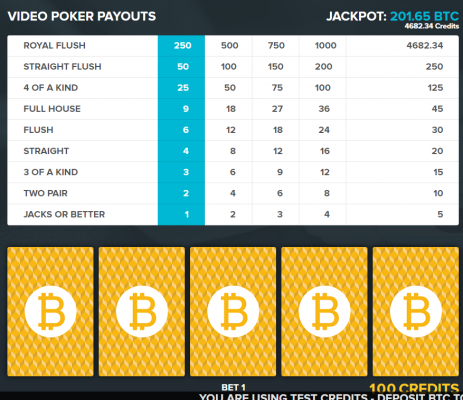 Based on everything that has been outlined so far, the Bitcoin Games casino is perfect for all those who would like to replicate the old-school feeling of playing on actual casino machines back in the day, while also having an entertaining experience, winning large amounts of the digital currency, and remaining anonymous. As it offers more than a few games, players surely won’t get bored quickly, as they can always switch from one game to another, to keep the funds flowing. Bitcoin Games does not currently offer any Bitcoin bonuses to its players!